Today I am so very thrilled to welcome DC wedding planning icon Laura Weatherly of Engaging Affairs to the blog. Serving the DC area and beyond for many years, Laura leads a team of exceptional event planners who have each loads of experience in at-home weddings and parties. 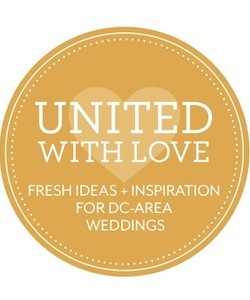 They also write Bridal Bubbly, a great online resource for DC area weddings. Don’t do an at-home wedding because you think it will be easier (it won’t be), simpler (not by a long shot) or less expensive (sorry). People forget that, unless the wedding will be very tiny, they will need to bring in everything from the teaspoons to the restrooms and coordinating all of that takes a lot of time and planning. Weddings should be held at your home because you want the intimate feel and familiar surroundings to be part of your wedding day memories. And before you decide on a backyard soiree, be sure to determine your guest list (to be sure you have space for everyone), your power needs (caterers, bands and lighting all need more power than most houses have) and any ordinances governing events, sound or parking in your town and/or neighborhood. Plan any renovations, redecorating, landscaping and cleaning well enough in advance and don’t forget to have yards sprayed for insects and septic tanks checked. 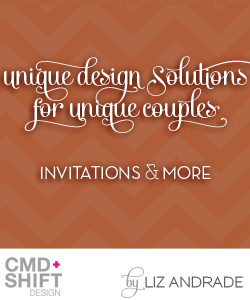 Who said wedding planning was always romantic? :-) Good luck!